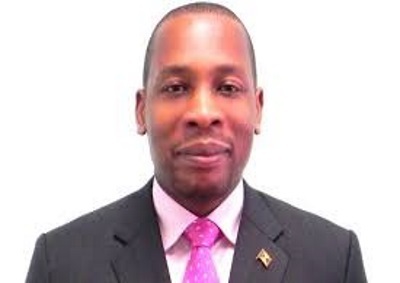 BASSETERRE, St. Kitts, Mar 16, CMC – The Governor of the Eastern Caribbean Central Bank (ECCB), Timothy Antoine, says the financial institution is poised to make a modest profit at the end of this fiscal year, after three years of losses. “As of now, the bank is making a profit. We expect that we would make a small profit at the end of this fiscal year, after three years of losses, and we have every expectations and plans to increase the profitability of the bank going forward,” said Antoine, who took over from the late Sir Dwight Venner in February last year. Speaking on a current affairs programme hosted by the St. Kitts-based ECCB that serves as a Central Bank for Antigua and Barbuda, Dominica, Grenada, St. Lucia, St. Vincent and the Grenadines, St. Kitts-Nevis and Montserrat, Antoine said he felt “very encouraged by the progress we’ve made in my first year. “Much of what we’ve set out to do was accomplished” said the Grenadian-born economist, adding that he is satisfied with the maintenance of a strong Eastern Caribbean (EC) dollar. Antoine had outlined a four four–pillar vision for the Eastern Caribbean Currency Union (ECCU) and the ECCB on upon assuming office. They were financial stability, fiscal and debt sustainability, growth competitiveness and Employment and organizational effectiveness. Antoine said he is pleased that the ECCB was able to maintain a strong EC dollar to improve financial stability in the sub–region. There have also been improvements in the fiscal accounts, Antoine said. “I am pleased to note that we have seen improvement in the fiscal accounts. Many of our governments were able to earn primary surpluses this last year and overall there was an improvement in the fiscal accounts. However the ECCB Governor said the period was not without its challenges and the major challenge was with it pillar for growth, competitiveness and employment. Antoine said there are a number of initiatives that the bank will be taking in the coming year to address the issue of growth and competitiveness. He said he is looking forward to the establishment of the partial credit guarantee scheme, the ECCU Credit Bureau and more opportunities for access to finance for youth. During his second year on the job.